When it was decided that I would be attempting to climb Mount Rainier in June 2008, I had just about a month a train for the summit bid. I say “it was decided” because I had decided that I wanted to go for the Rainier summit but also decided that it would be best to go up with a guided group as I had minimal mountaineering experience up to that point. Problem is, I waited too long to make my decision and my chosen guiding company was full for the season. I promptly put my name on the waiting list and got a call in late May ’08. I now had less than thirty days to officially train. Once it was all decided, two main concerns immediately surfaced: bringing the right gear to climb Mt. Rainier and training properly for the Mt. Rainier climb – or, more specifically, training in a short time frame for the Mt. Rainier climb without getting injured. Luckily, I had been running a couple of times per week to stay in somewhat decent shape in case the phone rang and the wait-list scenario worked out. But I didn’t think I would actually get the call, so the runs did not exactly have that training intensity. The phone did ring and I stood there in halfway-decent shape for an endeavor that many say you should be in the “best shape of your life” for. Indoors: Uphill treadmill, stairclimber or actual stairs. Indoors: Wear a backpack weighing between 20 & 40 pounds during the above exercises. Outdoors: Hit the trail. More specifically, hit steep trails that rise quickly over short mileage. Get plenty of rest in between training sessions. That’s all definitely great advice. Problem is, I could do little of it. I couldn’t take multi-day trips due to work and it was even difficult to find time for extended single-day hikes. And I loathed indoor training – I’ve always been more of an outdoors guy. Despite the fact that I couldn’t embark on multi-day training treks, my location (Seattle) helped out quite a bit. Seattle’s hilly terrain helped out in a couple of ways and its proximity to decent hikes was great. My one-month Rainier training regimen ended up consisting of three main components. I continued running as frequently as possible, choosing routes that had as many hills as possible. My runs began in the 3- to 4-mile range and increased up to 8- to 9-miles near the end of my training. I also mixed in a few slow, flat runs on days that would typically be rest days. I needed something very steep, very close to home that I could get to quickly and be done with quickly. Dravus street ended up being the perfect choice. The street runs uphill, connecting Interbay to Magnolia and rises sharply. This short stretch of Dravus climbs at least 300 vertical feet in less than a half mile. I would put on a heavy pack – or carry my 1-1/2 year-old son in my child-carrier backpack and head up and down. Read more about Dravus street. Mount Si ended up being – by far – the most important part of my abbreviated Mt. Rainier training regimen. Located just a short drive from Seattle, I found the time to head up Mount Si five times in the time leading up to the Rainier summit bid. Located in North Bend, WA, Mount Si is a popular, yet steep trail that takes up approximately 3,200 vertical feet in about 4 miles of hiking. Each Mount Si hike was an early-morning trek and I pushed harder and harder each time in an attempt to fast-forward the training. In each of the five Mt. Si hikes, I worked to hike faster, take fewer breaks and wear a heavier pack. By the fifth hike, I was able to hike the Si trail with very few breaks and a 50-pound pack on my back. My month of training (and earlier runs) ended up being (barely) sufficient to get my up the glaciers of Rainier but I would undoubtedly do things differently the next time around. I would still avoid the indoor treadmill training but would hit the trail much more often and, obviously, stretch the training period out to three or four months. 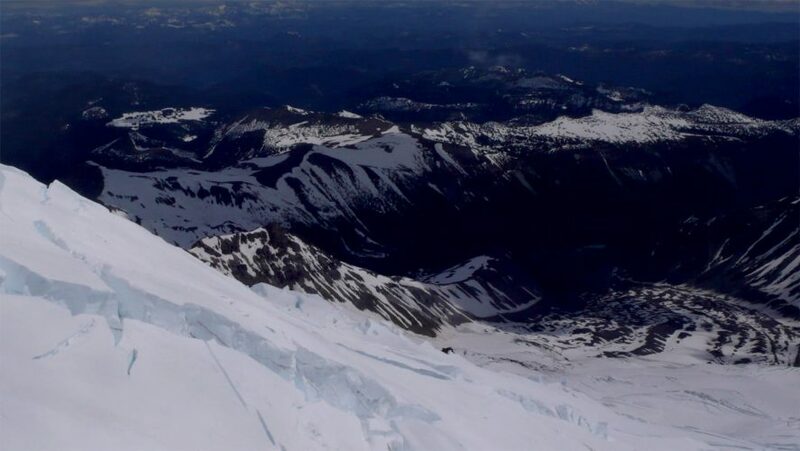 Have you trained for Mount Rainier or another peak? Share some of your training experiences.